Potable water found in taps, wells and tubewells are no more safe and may contain good number of disease causing bacteria and viruses that the whole family should be careful from. Water is the most important and crucial thing for survival and growth of human beings. Hence, it needs to be pure, clean and safe from harmful elements. It is for this reason that water at homes should be used for drinking purpose only after it is properly and thoroughly purified by using the top rated purifiers available in the market. There are readily available different types of water purification devices with various functions and prices. But the basic nature of such purification device as the name goes is to provide users with clean source of water. When trying to select the method to avail clean drinking water, there are present two cleaner types, namely water purifier and filters. · Filters are said to be capable enough to eliminate 99.9% of all contaminants. · Purifiers tend to offer much more comprehensive solution to availing clean water and remove 99.99999% contaminants. This particular method is recommended for those investing their hard earned money to ensure getting healthy and clean drinking water. It is considered to be a method to purify water and is gaining popularity among households and commercial establishments across the globe. This particular system tends to use light rays for the purpose of altering viruses and bacteria DNA, ensuring that they are not in a position to reproduce further. Portable solution is offered by the UV lights to availing clean drinking water wherever and whenever required. Although bacteria and viruses are eliminated through UV purification, it is not able to remove other contaminants and heavy metals through this process. Therefore, industry experts suggest using of UV purifiers only in those situations where healthy water is desired fast. The other purification methods tend to employ reverse osmosis methods to offer more thorough and safe elimination of harmful entities. This process eliminates most contaminants from water and is recommended to offer thorough purification solution. A good number of people prefer to use combination of both. Rather, they like to use a product which offers reverse osmosis and eliminates most of the contaminants and harmful metals present in water. The remaining bacteria are destroyed by the UV purifier. 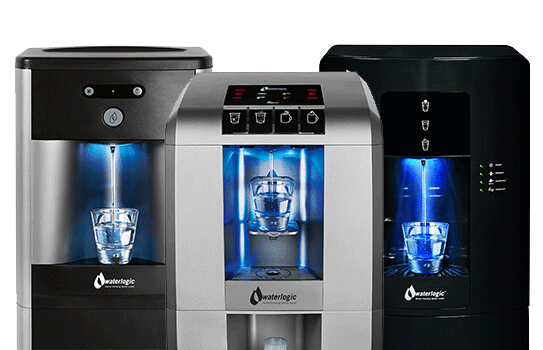 Shopping for a device which can offer good, healthy and pure water can be real tough for first timers, especially with different types being available in the armlet and each offering various kinds of processes. Hence, proper discretion needs to be used when it comes to purchasing one. It is not easy for the human eye to determine exactly as to how pure the water is. At the same time, experts suggest shoppers to buy water purifier devices from the top rated dealers only. Also, the device needs to enjoy good ratings and favorable reviews from its present users and serve the intended purpose for which it is purchased in the first sense.